You might remember that I tried to take a shot of the supernova in M82 but gave up after just a couple of exposures when it got cloudy. I also mentioned that it looked very small through a 300mm lens.It was a lot easier to see through my 2000mm Nexstar 8SE. Well, the weather has been so awful that I went ahead and processed one of those images anyway. More to say Ive imaged it rather than anything else. So here is a single 30 second sub of SN 2014 J in M82! It was almost good enough to bring a scope out tonight. Bit too much wind and cloud. Still, nice views of the usual winter stars. Cant wait for a decent, clear evening. 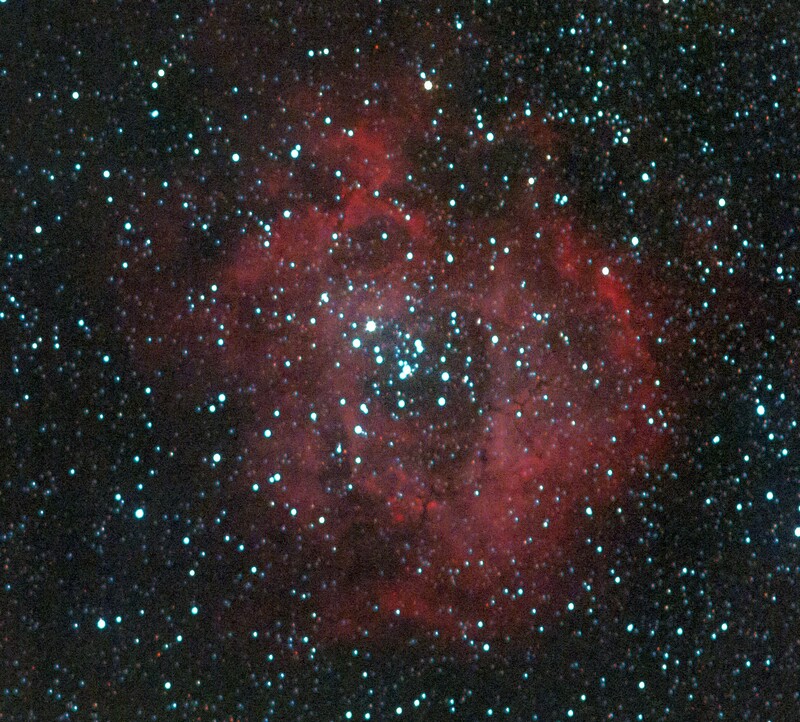 First night out with the Ioptron ZEQ25GT equatorial mount. I’ve shied off using an eq mount because I thought polar alignment would be difficult but in the event it was quite straightforward. There is a nice illuminated polar scope and adjusting the axis in RA and Dec planes is simple. A handy iPAD app tells you exactly where to place Polaris in the scope. One thing I would recommend, I bought a Draper gardening seat/kneeling pad. This is a lightweight reversible pad that functions as a chair when one way up and as a kneeling pad with handles the other way up! It would have been uncomfortable to sight through the axis/polar scope without it. 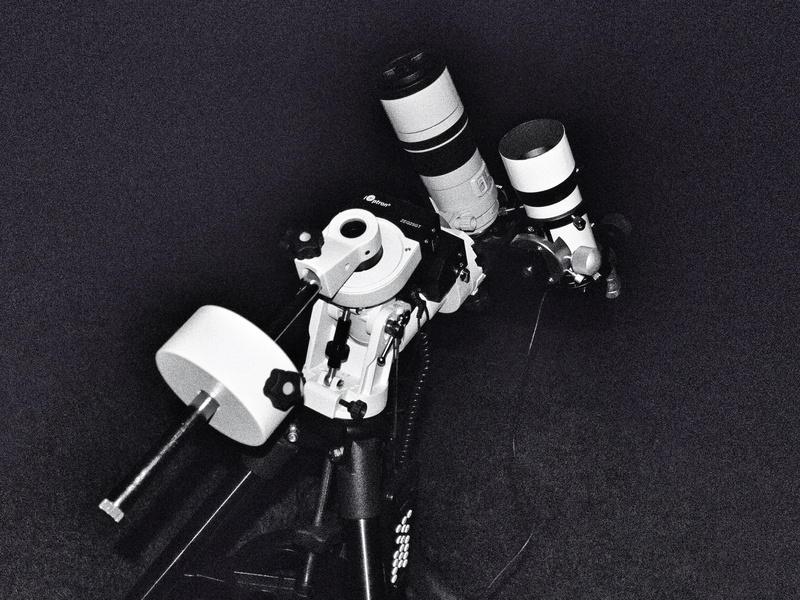 I set up a Canon 60Da and a 10×60 finder on a vixen cross-mount, balanced the scope and set off. By this stage, it was getting distinctly cloudy (there was rain and sleet later!) but I was able to run off 16 x 30 second exposures and 9 x 60 second exposures of the Pleiades. Normally with an AltAz mount, I would have to discard about half of my 30 sec exposures due to movement artefact and all my 60 sec exposures but everything was spot on. 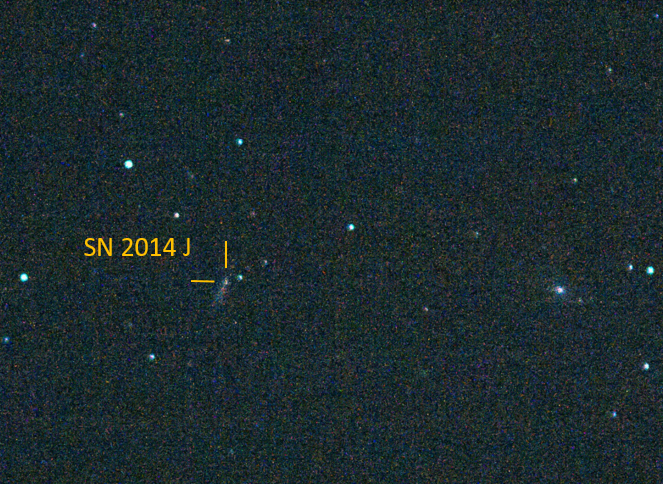 I had a quick look at Supernova 2014J in M82 – M82 was very small in a 300mm lens but the supernova was just visible. 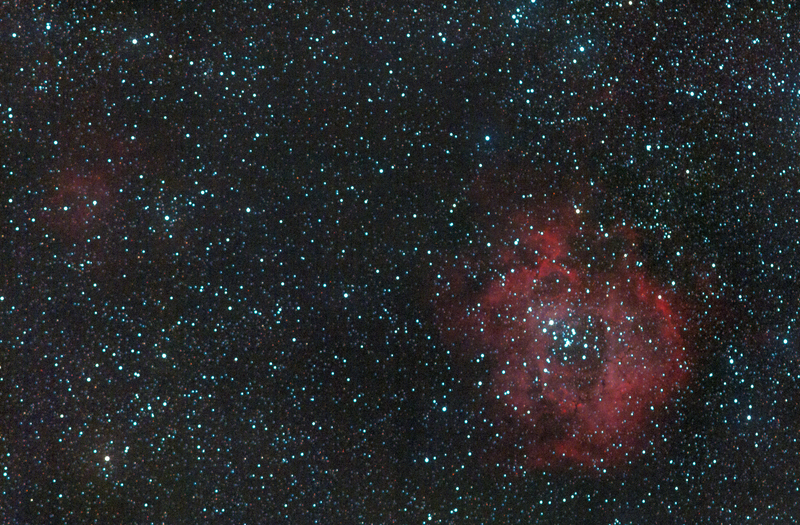 Clouds prevented any imaging.